30 years, unless the gun is placed in POP™ Mode. radar detector to see it - until now! • COMPASS provides points of direction. your eyes off the road to look at the display. VG-2 alerts, SWS messages, and detector status. 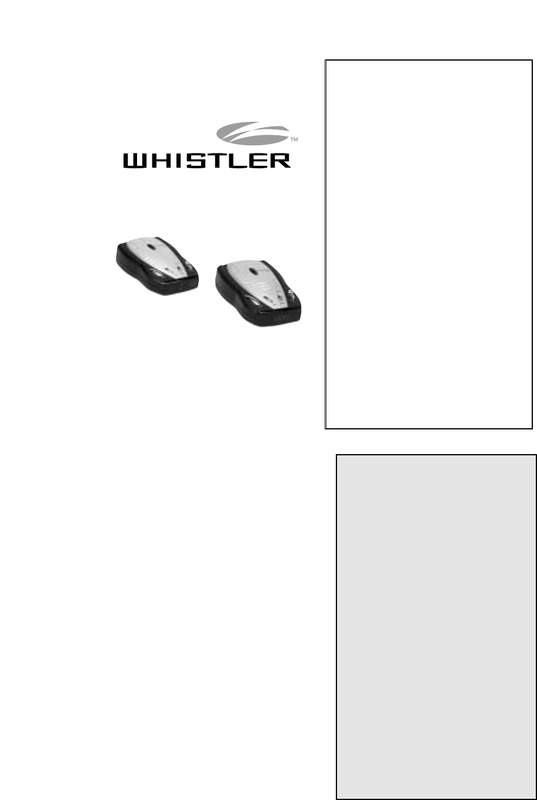 Enjoy your new Whistler and please drive safely.